Our Austin Story is a comprehensive interpretive strategy for several of Austin’s most historic public spaces. It focuses on the heritage of Austin’s four historic squares (Brush, Republic Wooldridge, and Hamilton) and Congress Avenue, all of which are central to Austin’s birth and evolution as a growing, thriving city. It documents the stories of the people and places who shaped these important civic spaces and offers an important framework for celebrating, expressing and growing with respect for Austin’s diverse heritage. OUR AUSTIN STORY HELPS AUSTIN EMBRACE THE PAST IN A WAY THAT BRINGS MEANING TO THE PRESENT AND ILLUMINATION TO THE FUTURE. Austin’s historic squares date to the earliest days of our city. In his 1839 Plan of Austin, Edwin Waller reserved four city blocks as civic squares, three of which still remain – Brush, Republic, and Wooldridge. Located in four different quadrants of downtown, each of these historic squares has a very distinct history that is influenced not only by what takes place in the square, but by what takes place in the surrounding area. Edwin Waller platted Austin with Congress Avenue as the central axis of a 14 by 14 block grid system. In Waller’s plan, Congress Avenue was (and still is) the geographic and cultural center of Austin. 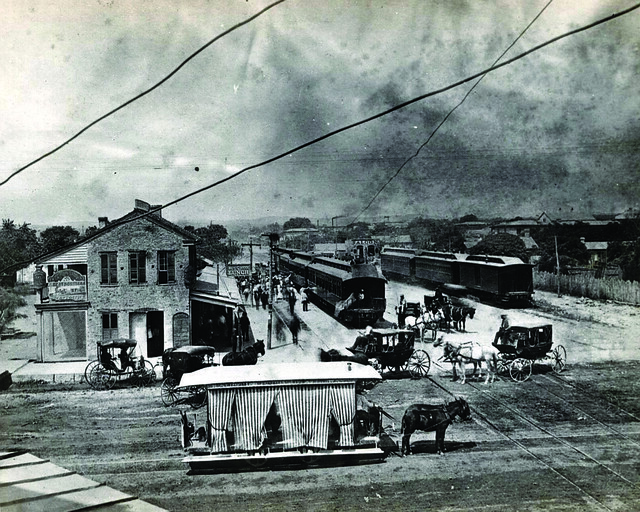 Congress Avenue is central to Austin’s history and should be interpreted through the lens of the many connections that it conveys. This interpretive strategy introduces the concept of vibrant connections as a way to conceptualize the planning and interpretation of Congress Avenue, which is integrally tied to the many vibrant connections along the Avenue. The Downtown Alliance conducted this project in partnership with Austin Parks and Recreation Department. The project consultant is Ted Lee Eubanks, Founder and President of Fermata Inc. Eubanks is a certified interpretive planner with over 25 years of experience both nationally and internationally in heritage tourism and community development.